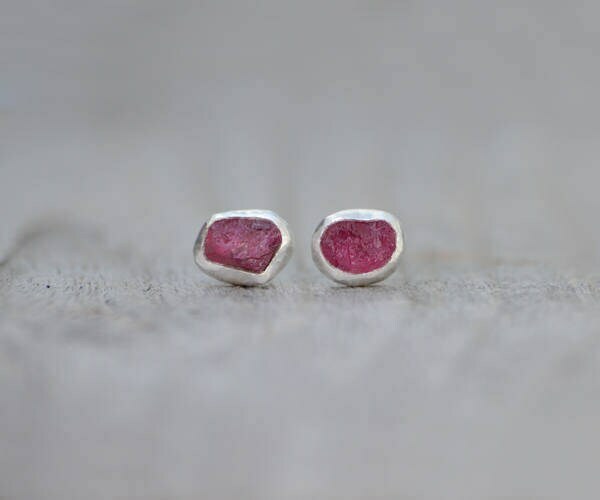 The pair of raw ruby stud earrings shown in the first 3 images is sold. 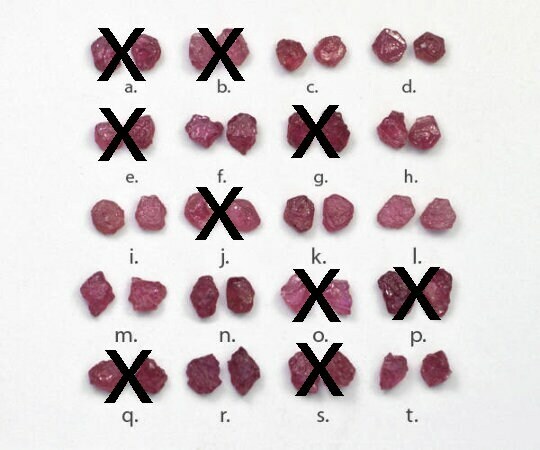 Please choose the rough rubies from the 4th image to create your own pair. It will be handmade at my studio in England. Each of them has its unique shape and beauty. 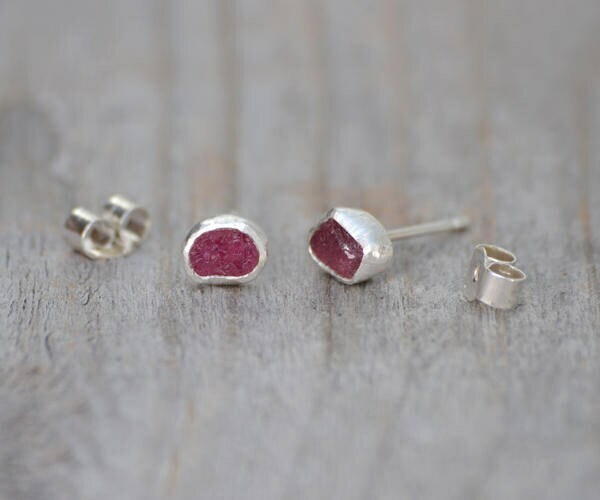 Matching rough ruby ring and rough ruby necklace are also available. 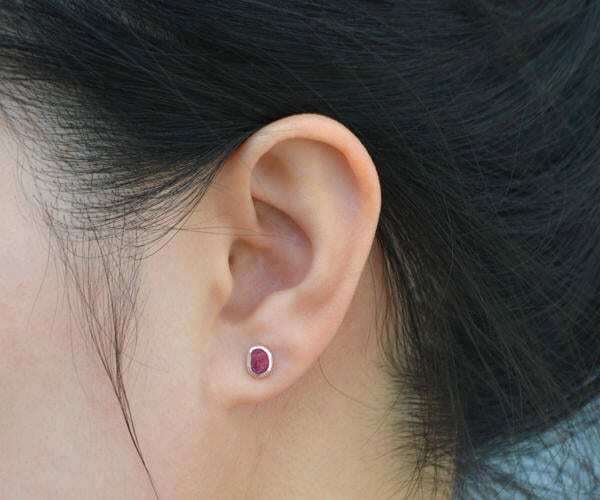 Lovely earrings and very unusual. My wife loves them!